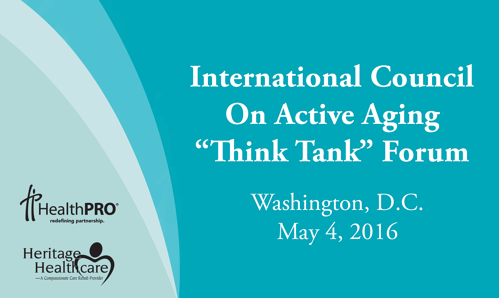 (April 05, 2016) As a respected thought leader within the aging industry, Christy Davis will attend the International Council on Active Aging (ICAA) Forum May 4th in Washington, D.C. on behalf of HealthPRO®/Heritage. The bi-annual forum brings together thought leaders from health care, wellness and technology organizations to discuss pressing issues facing the ever-evolving “active aging” industry. 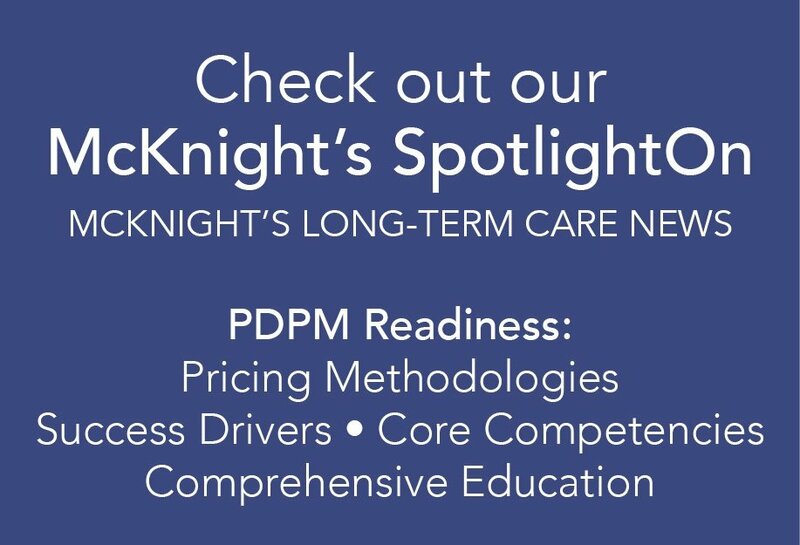 Launched more than 10 years ago, the meetings forge connections among industry leaders while promoting understanding and cohesive action around the ultimate goal: health and quality of life as people age. The forum is also dedicated to forming a think tank to develop strategies that will turn the challenges facing senior living providers into opportunities. The theme for this session is focused on the future of technology for active aging and will explore how technology will impact wellness environments, services, staff and customer expectations, engagement and outcomes. “To have Christy Davis participating in the ICAA Forum this year is a great honor, and we are excited to have a seat at the table for a discussion that will shape the future of our industry,” said Al Eads, Executive Vice President. Founded in 1999 by President Paul Shaw and Executive Vice President Al Eads, providing "Compassionate Care" is the overriding mission of Heritage Healthcare. Heritage Healthcare is a leading provider of out-sourced Physical Therapy, Occupational Therapy and Speech Language Pathology services to the residents of long term care and assisted living facilities as well as Continuing Care Retirement Communities throughout the United States. ICAA, a professional association that leads, connects and defines the active-aging industry, supports professionals who develop wellness facilities, programs and services for adults over 50. The association is focused on active aging – an approach to aging that helps older adults live life as fully as possible within all dimensions of wellness – and provides its members with education, information, resources and tools.